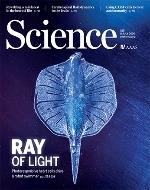 In the issue of July 8, 2016 of Science magazine, a paper is published by a team lead by BLUEPRINT-member Vardhman Rakyan from QMUL, showing that the genetic variation of ribosomal DNA (rDNA) could be driving how the environment within the womb determines an offspring's attributes. rDNA is the genetic material that forms ribosomes - the protein buidling machines with the cell. This discovery coudl shed light on why many human genetics studies have previously nog been able to fully explain how certain diseases, such as type 2 diabetes and obesity, are inherited. Link to press release QMUL.